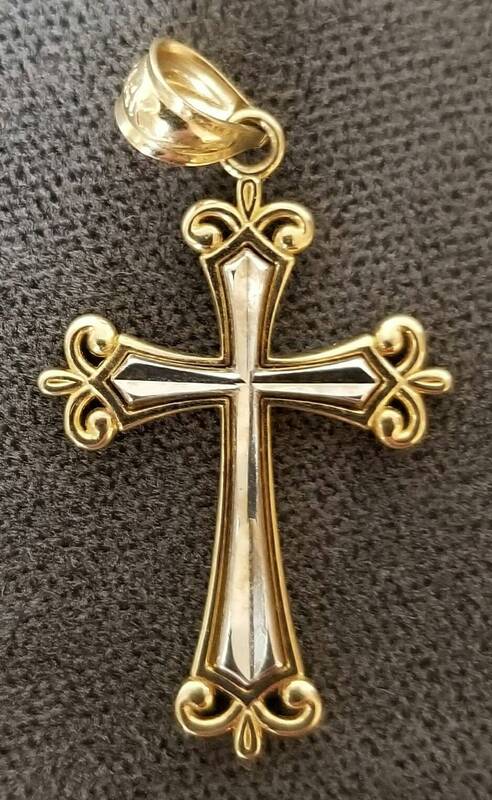 14K Yellow and White Gold Cross Pendant. 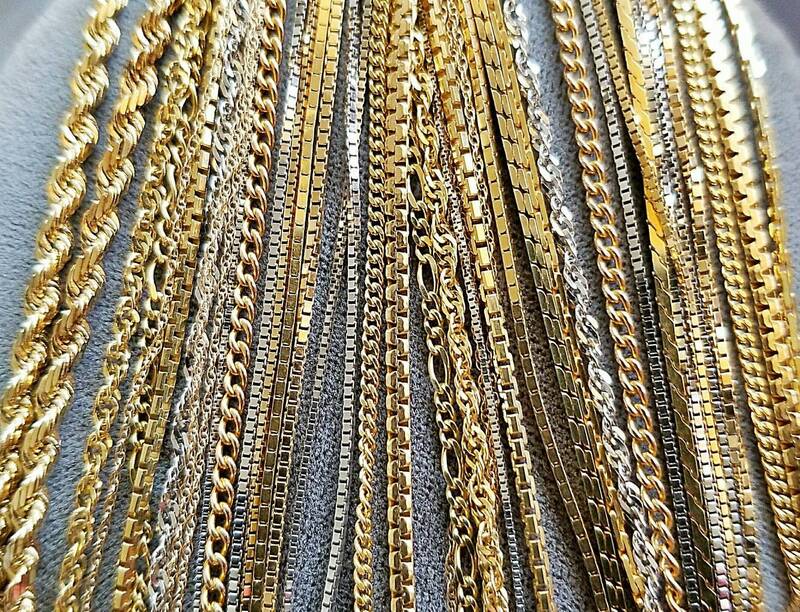 Chains are Available in Different Styles and Lengths to Purchase. The Price is for the Cross. 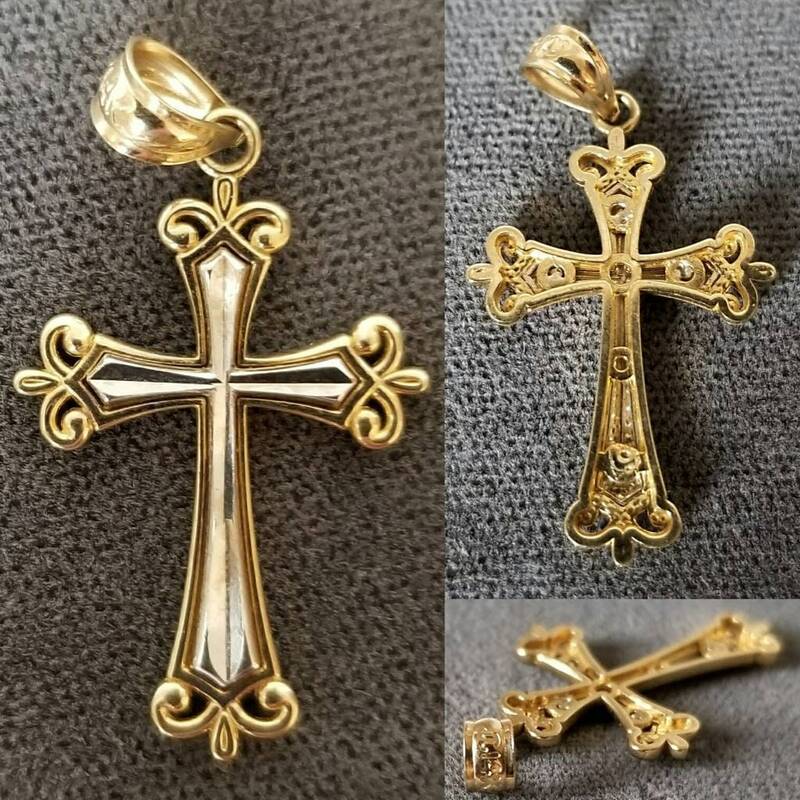 14K yellow and white gold or two tone Cross pendant. Necklace chains are pictured for purchase if needed. Other chain styles and lengths are available. Please ask if interested in a chain or chain suggestion. 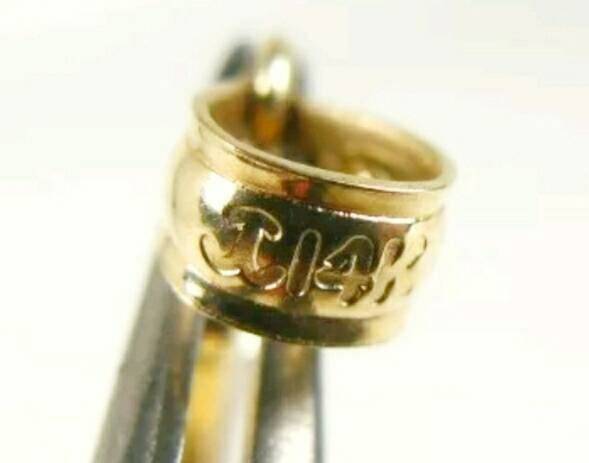 The 14K Cross weighs 1.00 grams. 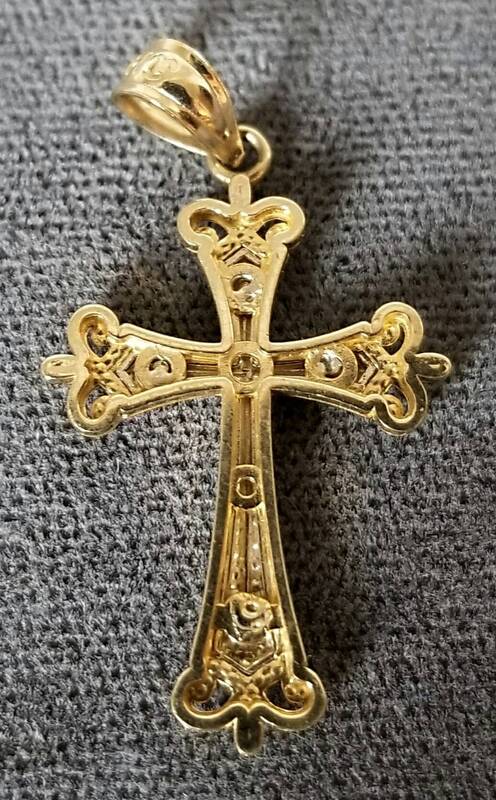 The 14K Cross is in new condition. 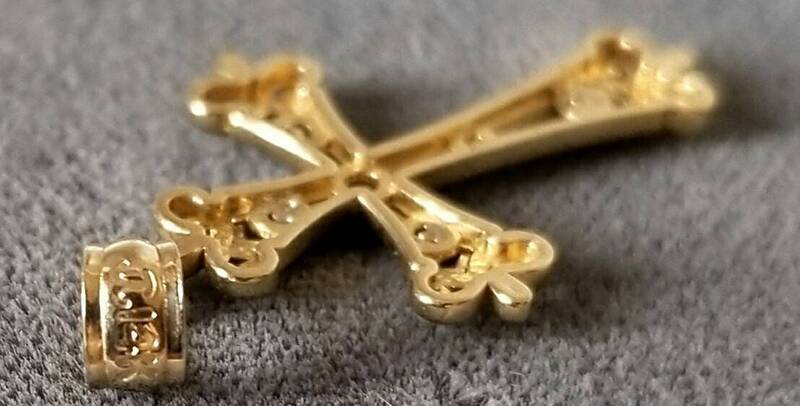 The 14K Cross comes in a quality, new gift box.